Ingwiller communal cemetery is situated on the D919 towards Wimmenau. The one grave stands along the wall, immediately to the right of the entrance. 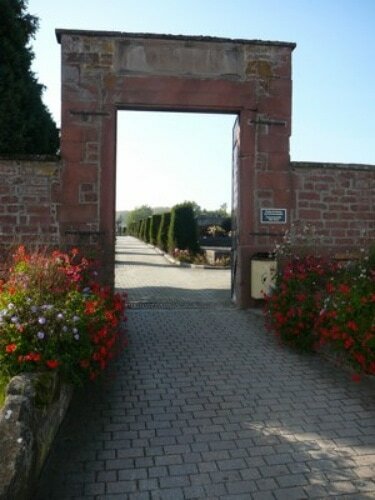 Ingwiller lies 50 km north-west of Strasbourg. 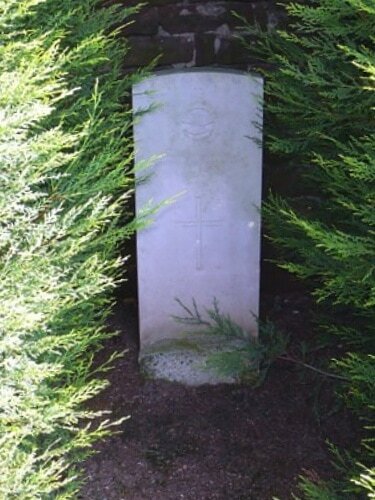 Second Lieutenant John Robert Fox, 55th Squadron, Royal Air Force, died 16th August 1918, aged 20. Son of John Edward and Agnes Buckley Fox, of 2, Harlington Place, Burbage, Buxton.